In an early morning interview with radio 2GB’s Alan Jones, where he also supported the push to advertise a horse race on “Australia’s biggest bill-board”, a reference to the sales of a building hitherto known as the Sydney Opera House, Morrison indicated Australia would resume its disruptive role in international climate talks. He said Australia would not follow the US out of the Paris climate treaty – that would be catastrophic for Australia’s attempts to land a free trade deal with Europe and its ongoing relationship with Pacific neighbours – but it has no intention of increasing its current target of a 26-28 per cent cut in emissions by 2030. This was despite the IPCC recommendations of decisive action, and a rapid phase out of fossil fuels, if the world was to meet the target of trying to limit average global warming to 1.5°C. 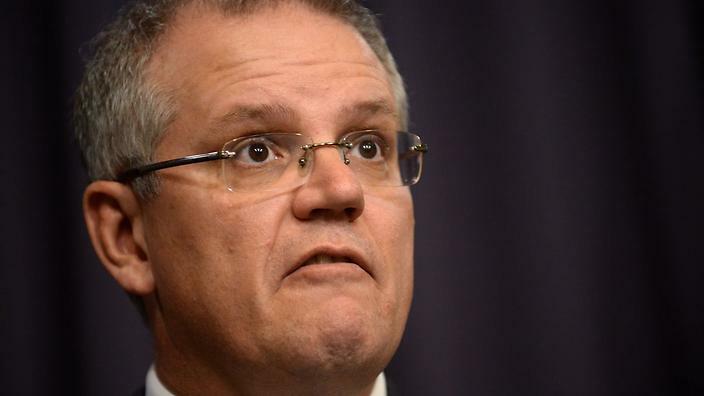 “We’re not held to any of (those recommendations) at all, and nor are we bound to go and tip money into that big climate fund,” Morrison told 2GB. The participation of Australia and other wealthy countries in the Green Climate Fund is seen as critical to keep the Paris climate accord together, as it was a fundamental part of negotiations in the lead up to Paris in 2015. But Morrison said Australia has no intention of lifting its target, focusing instead on prices, and promising the loss of no jobs in any action on climate change. At the moment, Australia has no policies to actually reach that target, and emissions last year rose 1.3 per cent, putting Australia’s trajectory completely off course. Morrison insists that the country will “meet it in a canter”. Morrison, who waved around a lump of coal in parliament early last year when Treasurer, and later dismissed the Tesla big battery as being about as useful as the Big Banana (despite the battery’s profound impact on the grid this past year), says Australia was acting to protect the Great Barrier Reef. But the IPCC report warns that even under a 2°C scenario – and current climate pledges have the world heading to average global warming in excess of 3°C – all coral reefs would cease to exist. At 1.5°C, there is a fair chance of saving 10-30 per cent of existing ecosystems, the report says. The scenarios and assessments are similar to those made at the Paris climate talks. The difference with this latest report is that it is an agreed text – with more than 6,000 scientific references cited, thousands of expert and government reviewers worldwide, and 91 authors and editors from 40 countries. More importantly, it survived intervention from government “experts” in the last few days, and was approved by all countries.